Note: This Terms and Conditions document is required for all students to read, sign and submit to our World Headquarters office in Chicago prior to starting class along with registration document. Online students will not be allowed to start course without this document and class tuition payment accepted. Students enrolled in our International Onsite locations will not be put in contact with our director in country until this document and registration document is completed and submitted. All students should read our Registration Procedures prior to enrollment. This is a link to the Terms and Conditions document in a PDF file suitable for downloading and printing. The TERMS AND CONDITIONS is between ___________________________________________ (â€œStudentâ€™s Nameâ€) and International TEFL Academy. This TERMS AND CONDITIONS shall cover the full scope of our services to you. We assume no responsibility outside of the administration and management of the TEFL/TESOL training course. A. Course Transfer Fee(s) â€“ When a Student is unable to start or continue his/her original course he/she can transfer into a course that begins on a new course start date or into a different TEFL Certification course. A Student can transfer courses up to a maximum of two times. The course transfer fee applies to both Online and International TEFL Courses. The course transfer fee must be paid in order to reserve a spot in a different course and/or course start date. For transfer fee amount please refer to the sections titled Online TEFL Course or International TEFL Course. B. International Course Administration Fee â€“ Non-refundable portion of the deposit paid towards any International TEFL Course. This fee is automatically included in the International Course Deposit. A. DEFINITION â€“ Online TEFL/TESOL training comprised of 150 - 180 hours of online coursework and 20 hours of TEFL Practicum. C. BUSINESS ENGLISH AND YOUNG LEARNERS MODULES â€“ 30 hours of additional TEFL/TESOL training not included in the standard 170-hour online TEFL course. 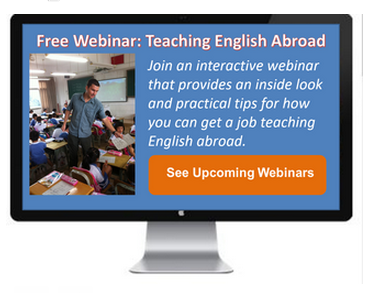 This is an optional add-on for any Student enrolled in the online TEFL/TESOL Course. D. ONLINE CLASS REFUND SCHEDULE â€“ The following refund schedule applies to either the original TEFL course start date or TEFL course that student transferred into, whichever TEFL course starts first. All refunds will be issued to Student within 30 days from the date of acceptance of Studentsâ€™ written notice of cancellation. Transfer to Online TEFL Course â€“ If Student postpones the start date of his/her course with at least fifteen (15) days written notice there is no penalty. If Student postpones his/her course within 14 days or less before, on or after the course start date Student will be required to pay the non-refundable transfer fee. The following terms apply to Student who transfers classes. $100.00 Transfer Fee â€“ Transfer to another online TEFL Certification Course 14 â€“ 1 days before the course Student is currently enrolled in. $250.00 Transfer Fee â€“ Transfer to another online TEFL Certification Course on or after course start date that Student is currently enrolled in. o Student must pay tuition balance directly to partner school. o Student must pay course transfer fee directly to International TEFL Academy. o Student must pay 50% of current cost of International Course directly to International TEFL Academy. No Transfer Fee â€“ Transfer to an International TEFL Course 60 days or more before International TEFL Course start date. $100.00 Transfer Fee â€“ Transfer to an International TEFL Course 59 â€“ 30 days before International TEFL Course start date. $250.00 Transfer Fee â€“ Transfer to an International TEFL Course 29 â€“ 1 days before International TEFL Course start date OR transfer to an International TEFL Course on or after course start date. F. COURSE MATERIALS â€“ There are no required materials to purchase for the TEFL/TESOL online Certification course. However, students can purchase the TEFL Certification Course Book for an additional fee. Purchasing the course book is completely optional and is not a requirement. All course book purchases are between the student and an independent book publishing/distribution site such as Lulu.com, Amazon.com, etc. A. DEFINITION - Any in-person or onsite TEFL/TESOL training course taught at a physical classroom location either by International TEFL Academy or a partner school. - International TEFL Academy â€“ In-person TEFL Class owned and operated by ITA in Chicago, Illinois. - Partner School â€“ A school or third party, other than International TEFL Academy, that hosts accredited, in-person TEFL/TESOL Classes. B. PAYMENT SCHEDULE - The course fee shall be paid in two payments. This agreement shall only cover any fees paid directly to International TEFL Academy and not to any third party, partner, or other entity that is not International TEFL Academy. directly to International TEFL Academy. i. Students enrolled in the International TEFL Academy course in Chicago, Illinois, USA will pay their remaining balance directly to International TEFL Academy. This balance will be due at least 30 days prior to the studentâ€™s course start date. ii. Students enrolled in any other International Course shall pay the remaining balance directly to the International TEFL Academy partner school or other entity. This balance will be due at least 30 days prior to the course start date. C. HOUSING - Housing fees are paid directly to the housing provider at your course location and not to International TEFL Academy. Housing fees are due on the schedule dictated by the housing provider. Any housing refunds must come directly from the housing provider and not International TEFL Academy. International TEFL Academy is not responsible for the kind, quality, or condition of the housing. International TEFL Academy does not make any warranties, either expressed or implied, as to the availability and/or condition of the housing. D. INTERNATIONAL TEFL COURSE REFUND SCHEDULE - The following refund schedule applies to the original course start date, not any subsequent start dates. Refunds apply only to the amount paid directly to International TEFL Academy. All refunds will be issued to Student within 30 days from the date of acceptance of Studentâ€™s written notice of cancellation. 1. 100% of the amount paid when Student withdraws or cancels at least 90 days before the original course start date excluding the International Course Administration Fee ($250.00). 2. 50% of the amount paid when Student withdraws or cancels at least 89 to 61 days before the original course start date excluding the International Course Administration Fee ($250.00). 3. 25% of the amount paid when the Student withdraws or cancels between 60 and 30 days before the original course start date excluding the International Course Administration Fee ($250.00). 4. 0% of the amount paid when the Student withdraws 29 days before the course start date or any date thereafter. Entry Visa â€“ Any Student who is denied entry into the country of their course location by the government (i.e. consulate, embassy, customs, etc.) is entitled to a 100% refund of all fees paid to International TEFL Academy. Student must show official proof of denial to receive refund. All refunds will be processed within 30 days after proof of denial has been submitted to International TEFL Academy. If Student postpones the start date of his/her course with at least 60 days written notice before course student is currently enrolled in, there is no penalty. If Student postpones his/her course within 59 days or less before the course Student is currently enrolled in, he/she will be required to pay a non-refundable transfer fee. The following terms apply to Student who transfers classes. Student can transfer courses before or during his/her original course start date up to a maximum of 2 times. Student who is unable to pass his/her TEFL course will adhere to the transfer policy. Student who needs to withdraw from his/her TEFL course unexpectedly will adhere to the transfer policy. International TEFL Academy will not issue a refund when Student transfers to another course location if the tuition of the original course is higher. Student will be required to pay the difference in price if the second course location has a higher course price than the original course. Student will also be required to pay the course transfer fee. directly to International TEFL Academy. Fees must be paid in full at time of transfer. International TEFL Academy upon enrollment will count toward current cost of tuition for online course. full at time of transfer. Student is responsible for any airfare or travel fees, housing, and related charges, expenses or penalties, that might result from any cancellation of or change in Studentâ€™s course, whether Student cancels the course or it is cancelled or altered by International TEFL Academy. Student will have the option to transfer into another TEFL Class of equal or greater value. Student will not have to pay a course transferfee. Should class Student is transferring into is of a greater value than course Student originally registered for, Student will have to pay the difference in course cost. International TEFL Academy reserves the right, in its sole discretion, to reject or dismiss Student from class based on, but not limited to, class performance, failure to comply by course syllabus, behavior, or any other inappropriate action(s) that may negatively impact their classmatesâ€™ experience. Should student be rejected or dismissed from TEFL class, it will be at the discretion of International TEFL Academy if a refund will be issued to Student. Students who receive a scholarship of 50% or more off of the total cost of tuition are given one opportunity to take the course at that scholarship price. Student is only able to transfer courses before his/her original course start date. If for any reason Student is unable to complete his/her original course after it has begun (due to withdrawing, failing, etc. ), the entire course fee shall be paid in order to take the course again at a later date. All terms in this Terms and Conditions document shall apply to Scholarship Student. DEFINITION: International TEFL Academy provides guidance to help Student find an English teaching job abroad only as an accommodation to its Students. We make no warranties, expressed and/or implied or otherwise, regarding your job search experience including, but not limited to, the quality or conditions of the Studentâ€™s employment and agreement with an ESL school or organization. Every enrollee receives job search guidance. International TEFL Academy staff is available to assist in developing the studentâ€™s resume, preparing for an interview, and reviewing an employment contract. Ultimately, it is the responsibility of the Student to obtain and accept an English teaching job abroad. 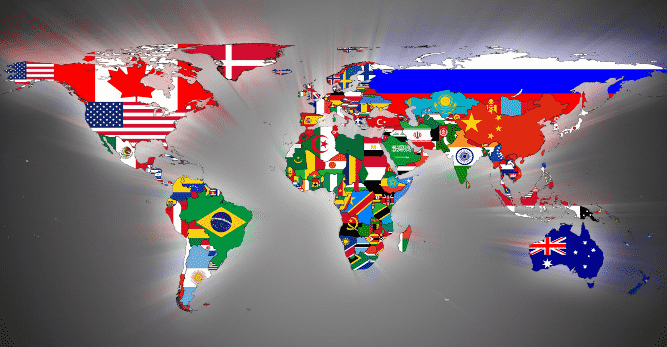 Student will participate in activities that may be outside of the United States. Student may be called upon to exercise great care for his or her own person and belongings. Student has informed himself or herself of the conditions in the countries and locations where Student will be during participation in an International TEFL Academy course and has also consulted with appropriate medical personnel and has determined that his or her health is adequate to participate safely in Studentâ€™s course. Student understands that International TEFL Academy is a training organization and recognizes that participation in any course is voluntary. Student recognizes that International TEFL Academy does not assume any responsibility for injury, sickness, personal health, or death, loss or damage to property while Student participates in an International TEFL Academy course, including travel to, from and during the course. Student may encounter difficult conditions and may be subjected to hazards and risks, foreseen and unforeseen. These hazards and risks may cause or alleged to be caused by a variety of difficulties of travel or residing in locations away from the Studentâ€™s residence or by individuals either affiliated with or not affiliated with International TEFL Academy. Students taking courses outside of their home country are strongly advised to take travel and medical insurance. International TEFL Academy cannot be held responsible for loss or theft of personal belongings. International TEFL Academy strongly urges Student to purchase trip cancellation insurance. Student is responsible for air tickets, transfers, visa fees, taxes, and other expenses associated with Studentâ€™s course. Student may utilize any travel service they wish. Student agrees to indemnify and hold International TEFL Academy harmless for any and all losses associated with air travel, hotels, lodging, meals, transport, and airport taxes for the use of reporting to their course country as stated above. Student acknowledges and agrees that International TEFL Academy may record Studentâ€™s likeness or comments before, during or after a course offered by International TEFL Academy. Student consents to the use of Studentâ€™s likeness (whether photographed, filmed, and/or videotaped) and comments or any portion of such in any manner developed now or in the future. Studentâ€™s likeness or comments can be used without limitation, in marketing and promotional materials, advertising for television, radio, print or other media, and any other International TEFL Academy presentations. Student agrees that, in connection with such use, International TEFL Academy, and persons acting for or on behalf of International TEFL Academy, may identify Student and may identify Studentâ€™s first name, age, city and state/territory/other district or country of residence. Student releases, indemnifies and agrees to hold harmless International TEFL Academy, and persons acting for or on behalf of International TEFL Academy, from any liability for acts authorized under this section of this Terms and Conditions form. For students under 18 years of age, a parent or guardian must also sign. * This is a link to the Terms and Conditions document in a PDF file suitable for downloading and printing.